If you've been using computers for a long time, your brain might have automatically blocked it out, but the sound of constantly clicking mice can be exceptionally annoying. To rid yourself of the incessant click-click-click you could wear noise-cancelling headphones while working... or you could just get yourself a mouse that doesn't click. Genius. We check out the Speedlink Calado Silent Wireless Mouse. 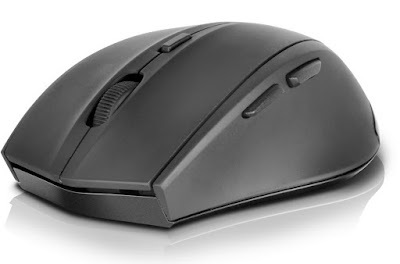 Actually, this isn't our first "silent" mouse from Speedlink, as we reviewed the Axon Antibacterial Mouse a few months back. Whereas that mouse was mainly about its germ killing properties, it was also, kinda, "silent", reducing the annoying click sound by about 60-70%. Whereas the Calado won't protect you from bacteria, it will reduce the clicks by about 95% - a figure which is pretty awesome. Click it and you'll hear only a subtle flumpf sound, all soft and quiet. It is actually a real delight to use, and we hadn't realised just how bothered we were by conventional clicky mice. And it isn't just the main left and right buttons that are quiet, as the track wheel and two side-mounted back and forward buttons for internet navigation are silent, too. Another thing it has over the Axon mouse, is wireless. 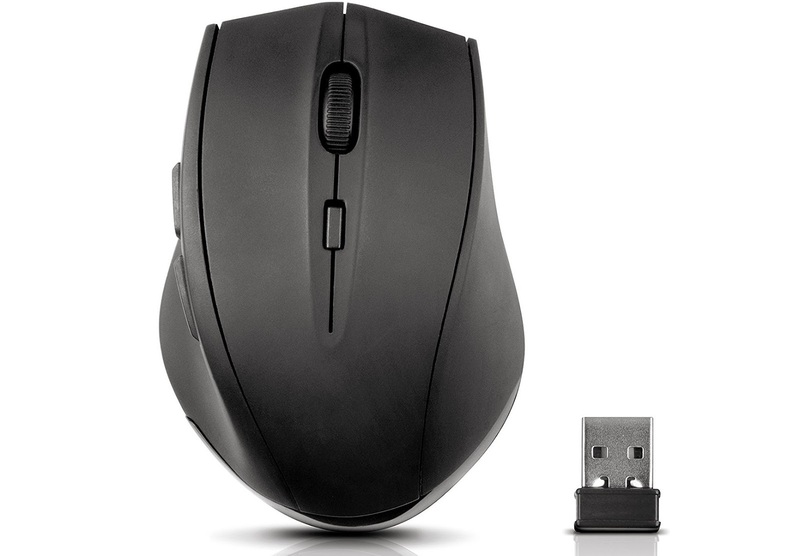 The Speedlink Calado Silent Wireless Mouse uses 2.4GHz wireless to connect to the small USB dongle, giving you an effective range of about eight metres. Also, as the Calado is slightly smaller than your average mouse, you'll probably want to carry it around with you, so Speedlink included a little place on the underside to store the dongle when not plugged in. Nice. One unique feature is the sixth button position behind the track wheel. This can adjust the resolution of the sensor, toggling from 800 to 1200 to 1600 DPI, allowing for greater accuracy. It won't be something the average user really bothers with (we certainly didn't) but if you do delicate work, it is great to have. It's also nice to know that, despite not having an on/off switch, the Speedlink Calado Silent Wireless Mouse will automatically power down after ten minutes of inactivity, saving the power of the two AAA batteries it requires. So using this has made a big difference, and going back to a normal clicking mouse might be quite jarring. We love the comfortable shape, the light weight, and also the ease of use. It's a winner.